Yang-chu Higgins, LAc EFT-Adv graduated ’07 from Yo San University, a Chinese medicine school a skip from the beaches of Venice in Los Angeles. In the early 90s, he studied at the Center for Chinese Studies at Michigan Ann Arbor, with some stints at Beijing University and the Chinese Academy of Sciences along the way. Yang-chu draws better than 95% percent of his herbal prescription writing from Chinese sources. Better than 90% of all respiratory, digestive, and dermatological cases require herbs. He uses Chinese tui-na massage and acupressure for quick relief of pain. 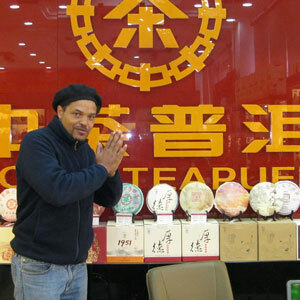 He trades in pu’er tea though his website Puerhjunky.com as an alternative to Wall St thaumaturgy and fancies ping pong a good deal since the snowy winters growing up in Iowa.